Bidh Sgoil Cànain Meadhanach a 'tabhann Beurla Coitcheann, Dian-Beurla, cùrsaichean Pàirt-ùine agus Deuchainn. Gheibhear fiosrachadh mu gach cùrsa seo a 'cleachdadh a' chlàr-taice air an làimh dheis. Dè an ùine den bhliadhna am bu chòir dhomh ionnsachadh? Bidh sinn a 'cur fàilte air oileanaich fad na bliadhna agus bidh sinn a' dùnadh ach thairis air àm na Nollaige. Ged a tha seo nuair a tha àireamhan oileanaich nas àirde againn, tha na prìsean an aon rud, agus tha clasaichean fhathast aig a 'char as àirde de dh'oileanaich 10 a-mhàin. Tha an aimsir gu math grianach ann an Cambridge aig an àm seo gus am faigh oileanaich tlachd anns na pàircean bòidheach agus bidh an sgoil a 'cur air dòigh gnìomhan sòisealta eile feasgar. Bidh oileanaich a tha a 'còrdadh ri clas nas lugha (air oileanaich cuibheasach 6) a' roghnachadh tighinn a-steach anns na ràithean sin. Tha an sgoil fhathast a 'tabhann ghnìomhan sòisealta tron ​​t-seachdain. Faodaidh an cùrsa agad a bhith an urra ris an ìre agad, agus mar sin bheir sinn measadh àiteachaidh dhut nuair a ruigeas tu. 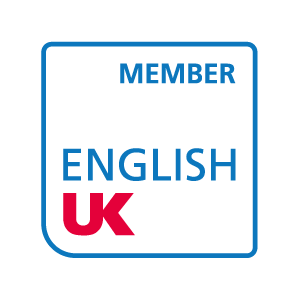 Faodaidh tu cuideachd an t-àite a ghabhail Deuchainn Cambridge English, a dh'innseas dhut dè an deuchainn a dh 'fhaodadh tu a bhith comasach dhut ullachadh airson. Chan e seo ach iùl, mar sin bheir sinn comhairle dhut fhad 'sa tha thu a' gabhail cùrsa. Tha ar cùrsaichean làn-ùine air an ainmeachadh Beurla Coitcheann (Teagasg 15 uairean gach seachdain) no Dian Bheurla (Teagasg 21 uairean gach seachdain). Bidh leasanan gach madainn bho Dhiluain gu Dihaoine, 09: 30 gu 13: 00 le briseadh cofaidh aig 11: 00. Ma roghnaicheas tu Dian Bheurla tha clasaichean ann cuideachd air feasgar Dimàirt, Diciadain agus Diardaoin eadar 14: 00-16: 00. Bidh sinn cuideachd a 'tairgse cùrsa pàirt-ùine diofraichte: aig àm sam bith den bhliadhna faodaidh tu sgrùdadh a dhèanamh air ar cuid Cùrsa feasgar, a tha mar phàirt feasgair de Dian-Bheurla, mar a tha gu h-àrd. Aig amannan sònraichte den bhliadhna, bidh sinn a 'tabhann pàirt-ùine Cùrsa Morning Beginners Dimàirt, Diciadain agus Diardaoin bho 09: 30 gu 11.00. Tha gnìomhan feasgar no feasgar sòisealta ann airson aon de na h-oileanaich againn, a 'tabhann cleachdaidhean a bharrachd ann am Beurla labhairteach. Faodaidh tu tòiseachadh air Diluain sam bith (ach a-mhàin saor-làithean poblach) airson co-dhiù aon seachdain. Bidh a 'chuid as motha de dh'oileanaich a' sgrùdadh seachdainean 4-12. Bidh cuid de dh'oileanaich ag ionnsachadh airson suas ri aon bhliadhna. Faodaidh sinn comhairle a thoirt dhut a thaobh a 'chùrsa a dh' fheumar gus amasan sònraichte a choileanadh. Is e 10 am meud as motha, ach mar as trice tha eadar oileanaich 5 agus 7 gach clas. Nuair a ruigeas tu don sgoil, nì thu Deuchainn Ionadachaidh gus measadh a dhèanamh air do ìre. Thèid an uairsin a chur ann an clas a rèir do ìre gràmair, comas labhairt agus amasan pearsanta. A 'cleachdadh leabhraichean cùrsa eadar-dhealaichte, ionnsaichidh tu Beurla tro dhiofar raointean cuspair le cuideam air conaltradh labhairt. Tha seo a 'gabhail a-steach obair-paidhir, còmhraidhean agus cluich-ròl. Bidh cothrom agad cuideachd do fhaclan a leudachadh agus daingneachadh a dhèanamh air an eòlas agad air gràmar.